During times when trial memberships are offered, you agree to accept the trial membership to the Site, which gives you a 30-day supply of our product, your trial membership will entitle you full access of the site, a 30 day supply of our product, for 14 (fourteen) days starting on the day you submit your trial membership application to the Site. Shipping may take anywhere from 1-4 business days, and we ship via USPS. 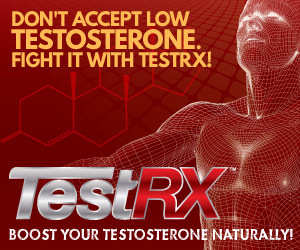 You agree that if you do not send us notice of cancellation of your trial membership at least ONE DAY from the expiration of your trial membership term, we shall automatically and without further notice convert your trial membership to a standard RECURRING MONTHLY SUBSCRIPTION to MUSCLE X TST 1700 Services, our auto-shipment program, at the standard one month membership rate. Muscle XL 2019 | All Rights Reserved. Cardio theme by Flythemes.